I am going off-road again. June 11 is Trinity Sunday. For thoughts on the Trinity, check out last year’s blog. We’ll learn about the culture of our partners in the southwest. In that context, we will also learn about how the church responds to issues like human trafficking, homelessness, refugee/immigration/border issues and care of creation. Both learning/awareness/story opportunities and service projects will be integrated into the week. As preparation for this trip, we also took an introductory look at those issues in our high school Sunday School class. We heard “facts and figures” and watched videos of people who have experienced these situations tell their story. For example, we learned there are as many reasons for homelessness as there are people who are homeless. Elderly with fixed incomes can move quickly into financial crisis if there is an increase in rent. Youth often become homeless short-term due to family conflict like divorce, neglect, or abuse. Veterans become homeless because of war-related disabilities that make it difficult to readjust to civilian life. Drug-use is contributing to a rise in homelessness. Only 15% of homeless people on any given day are considered “chronic” with long-term or repeated stretches of homelessness along with a physical or mental disability. Families that become homeless typically do so because of an unforeseen financial crisis. Since housing often takes 50-70% of their income, an illness or loss of job can quickly turn into an eviction. With luck, many families can recover from the crisis with rent assistance, housing placement services, or job assistance. But some do not. As a part of my personal preparation for the trip, I read a book (an ethnography) titled Evicted: Poverty and Profit in the American City by Matthew Desmond. The author is a sociologist who moved into a trailer park, then a rooming house in Milwaukee. He accompanied the people around him, many of whom pay 70 to 80 percent of their incomes for homes, and compellingly tells their stories of eviction. I had to put the book aside for awhile because of the growing despair and frustration I felt as I read about a system that only gave people in poverty bad housing options (both in price and condition). Landlords still rented those bad options and profited mightily from it. They capitalized on tenants’ extreme poverty, desperation for a place to live, fear of eviction, and lack any form of legal representation. One of the most hopeful things for me about the book is that the author turned his despair and frustration into an organization that raises awareness of the human cost of the lack of affordable housing. It also lifts up the work of community organizations that work to provide affordable housing, prevent eviction, and reduce family homeless. The author challenges us with the question of whether decent affordable housing is a basic right and invites the reader to get involved. The Evangelical Lutheran Church has produced a social message on homelessness (1994!). Interestingly, it says clearly that "Housing is a fundamental human right".The message guides the advocacy efforts of the church. With a new administration, community development assistance provided by HUD and USDA is threatened. Without a new budget deal, reduced funding levels will challenge many assistance organizations and deal a heavy blow to the stability of our national housing infrastructure. The resulting deep cuts to critical housing programs could cause thousands of children and families to lose access to stable housing, putting them at increased risk of homelessness. The ELCA advocacy office encourages people to contact their representatives about the proposed cuts. 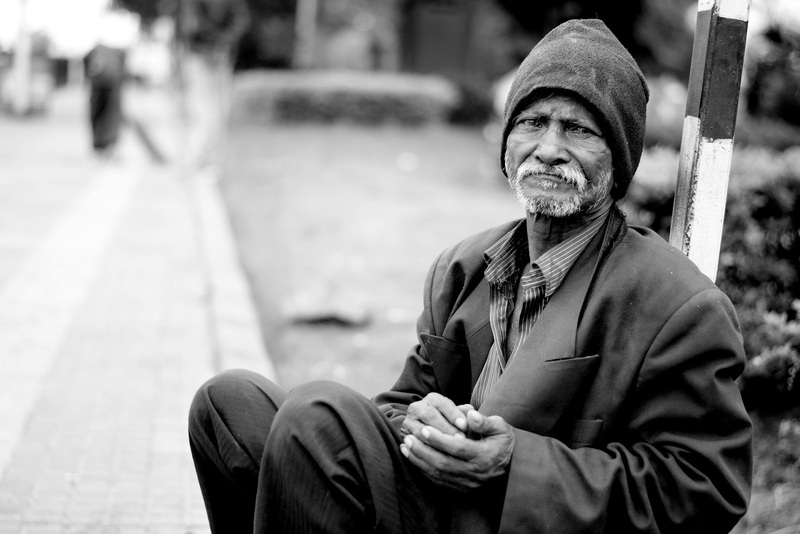 The magazine of the ELCA, Living Lutheran, has several stories of ministry with the homeless. Please share your comments or questions in the comment area below. Note: I will not post next week since I'll be in the midst of my trip.